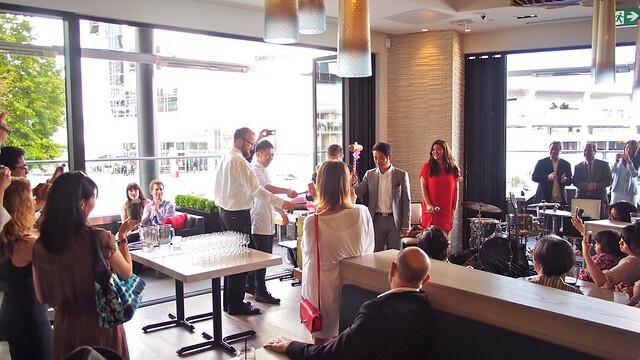 Miku Restaurant's grand reopening party at Waterfront in Coal Harbour on July 4, 2013. 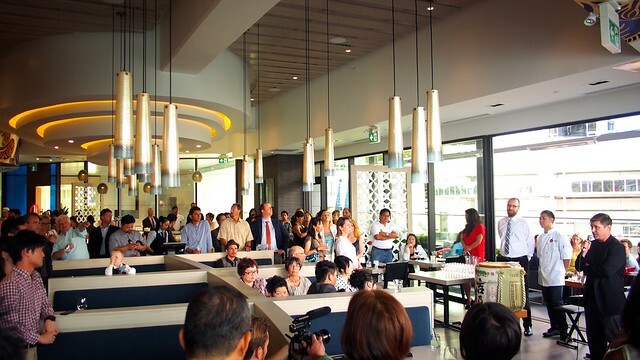 Miku's spacious locale takes up 5,400 square feet with 210 combined seats in its dining room, bar, patio, and sushi bar. Their eclectic menu offers the same delicious Japanese culinary dishes with a few new creations. 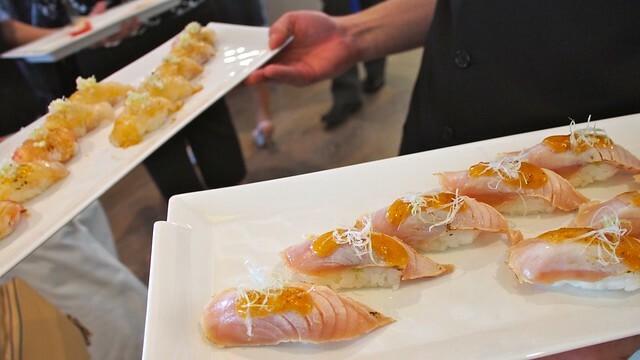 Fresh seafood and carefully prepared sushi remain a staple of their menu (including their famous aburi salmon). 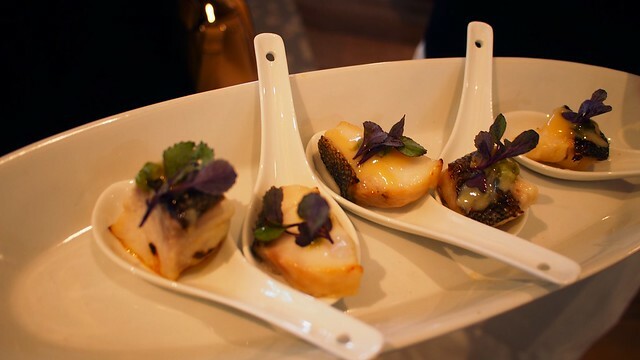 It's truly impressive how their team of chefs carefully match different ingredients for optimal flavour. 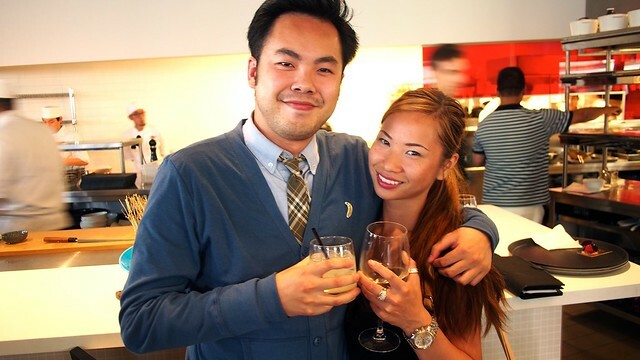 It was hard not to be all smiles along with my charming cousin Angelica as we sipped on some tasty sake cocktails and wine. 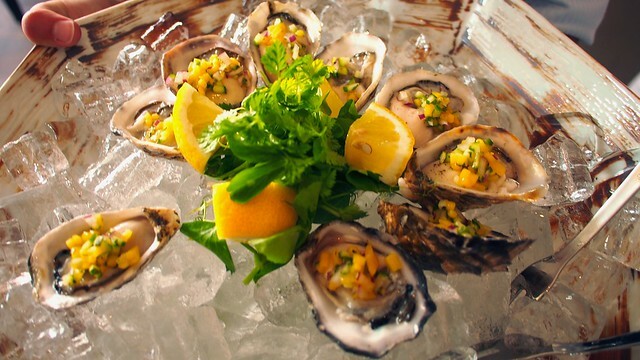 The signature dishes continued with a few deliciously fresh oysters with mango mignonette sauce served right on ice. Miku (and their sister restaurant, Minami in Yaletown) continue to offer some of the freshest, tastiest, most authentic and creative Japanese cuisine around. 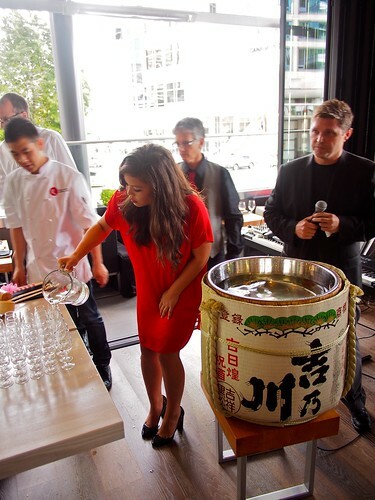 To celebrate, the staff broke a special drum filled with a batch of their in-house made sake. It went down smooth. One of my highlights was the very soft, moist, and melt in your mouth sake dashi braised sablefish. 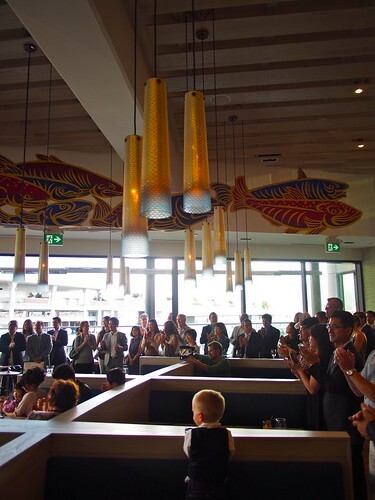 Paired with an impressive waterfront view and some amazing decor, Miku is a must for upscale dining and sushi lovers. Make sure look up and take a gaze at their beautiful trademark hand-painted murals from Japanese artist Hideki Kimura.